Zerns Farmers Market in Gilbertsville, Pennsylvania. One of America's oldest farmers markets, a mainstay in Montgomery County for nearly a century, has revealed it will close up shop for good in September if it doesn't find a suitable buyer. Zerns Farmers Market, located at 1100 E. Philadelphia Avenue in Gilberstville, announced this month that the decision to shut down comes down after the property failed to find a buyer at a price of $4.5 million. "After much prayer, deliberation and financial analysis, we recognize that the current situation is not sustainable," owner Bobbie Gail said in a statement. "It is time for us to close our doors. Serious offers from potential buyers will be considered until the very day we close, September 30, 2018. We are hopeful in light of this decision, the right person will come forward and purchase the market." Zerns established itself as a unique local market over the course of its 92 years in business. Open Fridays and Saturdays, the 200,000-square-foot market, home to 75 vendors, is known for its mix of produce, Amish bakery goods, antiques, country crafts, collectibles, toys, handcrafted soaps and unusual gifts. They also feature a plant, produce and car auction. "Zerns Farmers Market has taken pride in supporting everyone from a single entrepreneur with a dream to multiple generations of family-owned enterprises featuring local products and merchandise, as well as generations of customers," Gail continued. Beginning in July, the market plans to hold a promotion for all new and former vendors over the final three months of operation. Offers for the market came in from faraway locations including London, Dubai and Brazil, as well as from prospective buyers in the Lehigh Valley, Florida and North Carolina. The owners said they have yet to find the right buyer. "Understandably, this has been a difficult time," Gail concluded. "As a business owner or tenant, nothing really prepares you for this moment. You can honor the Zerns Farmers Market legacy by reflecting on your own memories — the experiences, the friendships and people in our community. 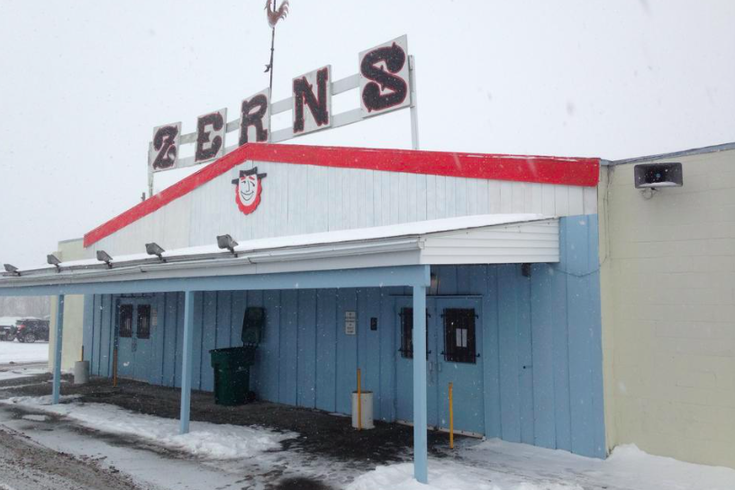 There is truly no place like Zerns."